Happy Friday! I'm wishing you a fabulous week! 1st) My friend Sheri Vettel writes a column for a Mothering Magazine and she recently posted about her top 6 family-friendly movies you can find on Netflix. I must admit I was feeling a little blue when I read her article and watching a bunch of movies sounded like the perfect thing to make me feel a little better. I think my favorite of her suggestions was "GIVEN"
2nd) I've been pondering the idea of worthiness a lot. I struggle personally with the idea of my own worthiness and I've noticed that one of the most common themes in the coaching I've been doing is worthiness. It appears I'm not alone in these feeling and I want to learn as much as I can about tools to work with or overcome this. In my search about what tools that will help I've stumbled back over this TEDx talk by Kristen Neff. I first watched this Tedx talk by Kristen in my positive Psychology class. 3rd) I'm still reading Eating In the Light of The Moon: How women can transform their relationships with food through myths, Metaphors, and storytelling. It's really good but I've had a lot going on this week so I'm not getting very far with it. 4th) I've never been one that's struggled too much with sleep, but I've had a rather stressful go of things recently and it's significantly impacting my sleep. I've been really proactive in trying to get a better night's sleep. So now before bed, I make sure my curtains are closed so the light of the moon won't seep in. I make sure my phone is on airplane mode with a promise to myself that I won't turn it on or check e-mail or social media until after my morning pages the next day. Then I take melatonin and put on a little lavender oil. It's been helping tremendously. 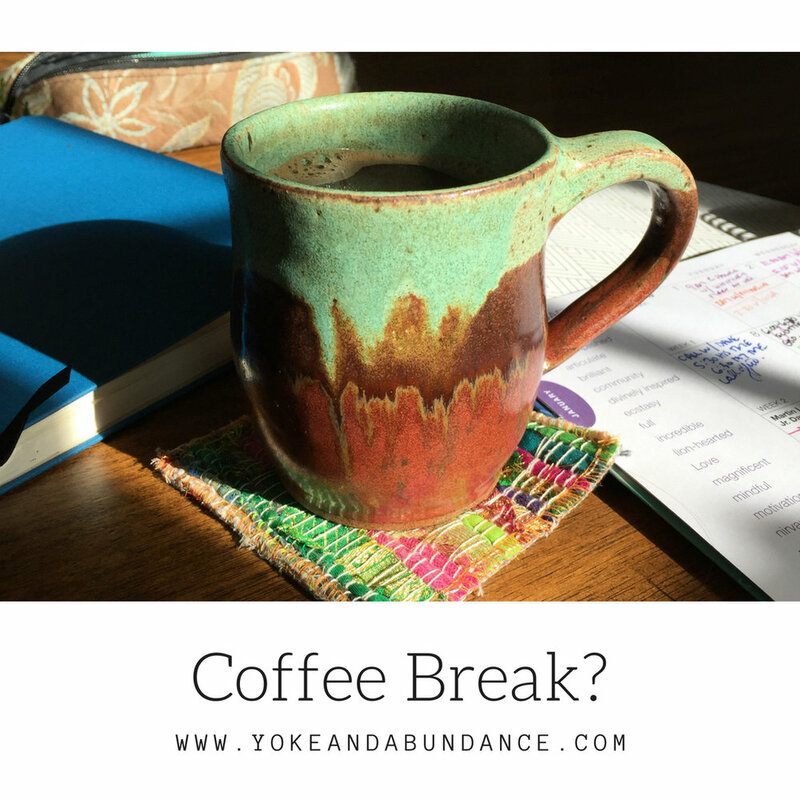 5th) Did you listen to this week's Yoke and Abundance Wise Women podcast? Check out my interview with Wise Woman Hilda Tajalli on The importance of Informational Interviewing and getting curious about other people's stories.